Ah, Melbourne. The home of the opening race of the season since 1996, other than two blips in 2006 and 2010. The crucible where cars break, teams make mistakes, and the pole sitter has only won twice since 2011. This has the effect of making Saturday feel a little pointless given it, unlike most street circuits, rarely finishes the way the grid lined up. This is not to say overtaking happens often but it’s a street circuit, what did you expect? While the 2018 race was not a classic by any means, now the race is over it does mean that we can get onto some prognosticating about the title race and whether it’s likely to be another year of Mercedes dominance. The winner of the Australian Grand Prix, when run as the first race of the season (so ignoring Bahrain in 2006 and 2010), has won the title 14 times in 20 seasons. (70%) That would seem to place Sebastian Vettel at a significant advantage in the title race. 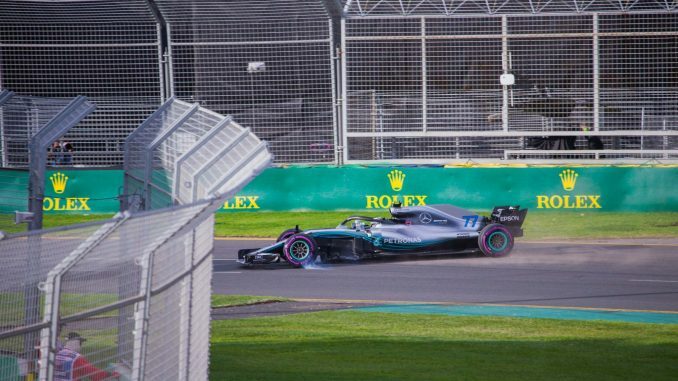 However, in 10 of those instances the winning driver had converted pole to win, a position no driver has failed to win the championship from, leaving only 4 instances where the driver had won the title without pole position. In three of these cases, the teammate of the pole sitter won the race and then the title (1996, 2002, 2016). In only one case (2000) did the winning driver come from a different team to the pole sitter and go on to win the title. What looked like a significant advantage becomes lies, damn lies, and statistics. If we follow on from the teammate point, a clearer trend emerges – the team that has taken pole position has won the championship 18 times in 20 seasons (90%), with only 2000 and 2012 as exceptions. (Both McLaren, just in case McLaren fans needed any more reason to be depressed.) Pole position, like wins, has given the driver the title in 14 of 20 seasons. What does this tell us? That qualifying at Albert Park is effective at identifying the fastest car on the grid and the favourite team for the driver’s title. The sample size for either poles or wins is too small to give an accurate read for a specific driver but, failing reliability and problems within the team a lá McLaren 2012, you’d have to consider Hamilton and Mercedes to be the overwhelming favourites.